Just about every wedding needs some sort of stage. Whether its a stage to elevate a sweetheart table or head table, a stage for a band or DJ, or a stage to highlight a special performance during a wedding, stages are a necessity for just about every type of wedding. Stage CMDR offers endless possibilities with choice of stage deck surface color and type. In addition to surface choice they also offer multiple colors of skirting and stairs. These stages can even be customized to the color of your choice and all stages come in near new look appearance. 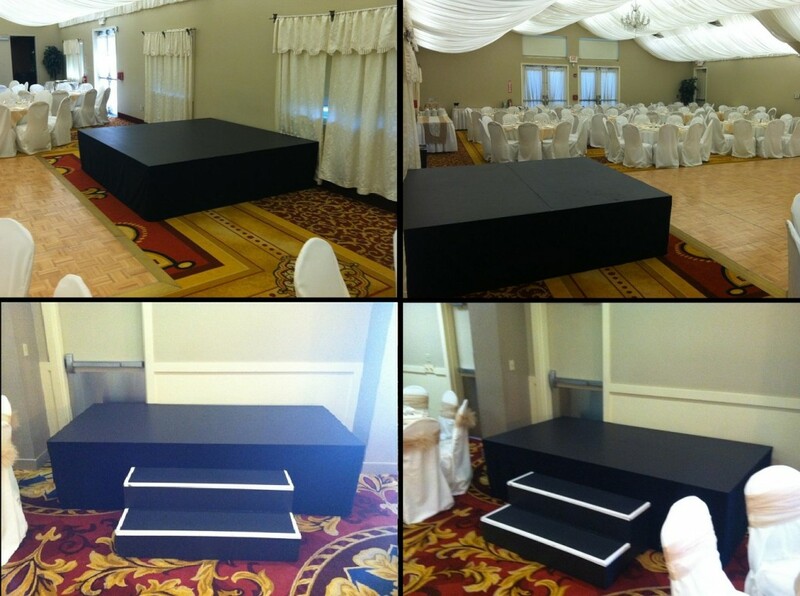 A 8x8x2 black stage with white skirting and stairs for the sweetheart table. Also shown is a 12x12x2 black stage for the groomsmen and bridesmaids. 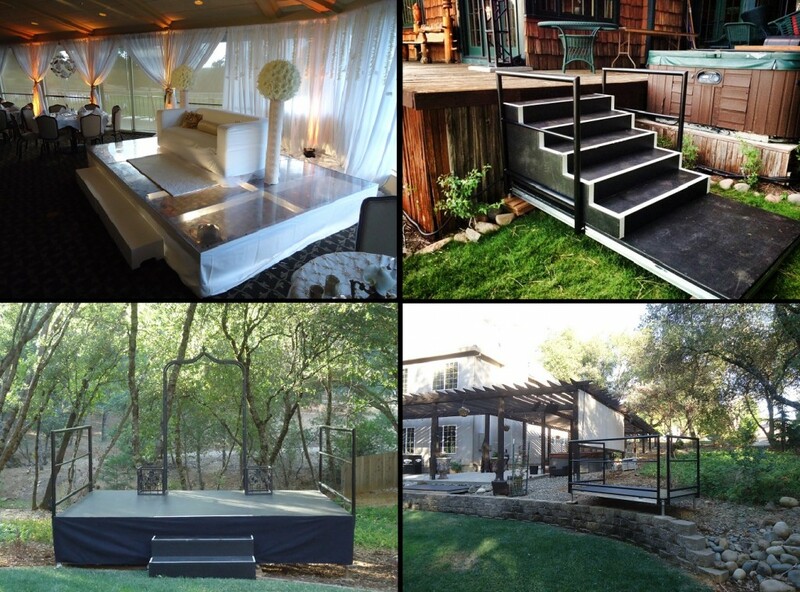 A 8x8x2 black stage for the sweetheart table and a 4x8x2 for a solo musician. 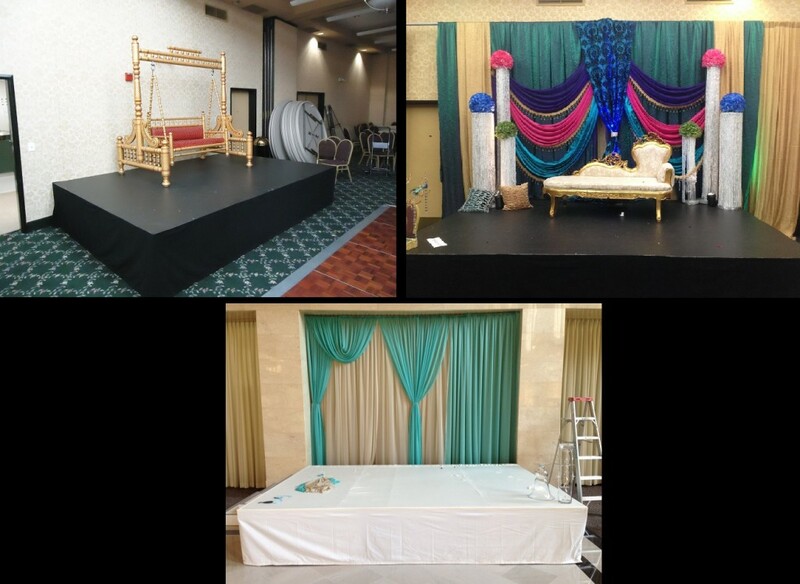 Top Row: A 12x8x16″ clear stage with white skirting, stairs and lights underneath it for a middle eastern wedding. Also shown is a stair that was placed at the edge of a wood deck so the bridal party can enter from that side of the property for the ceremony. 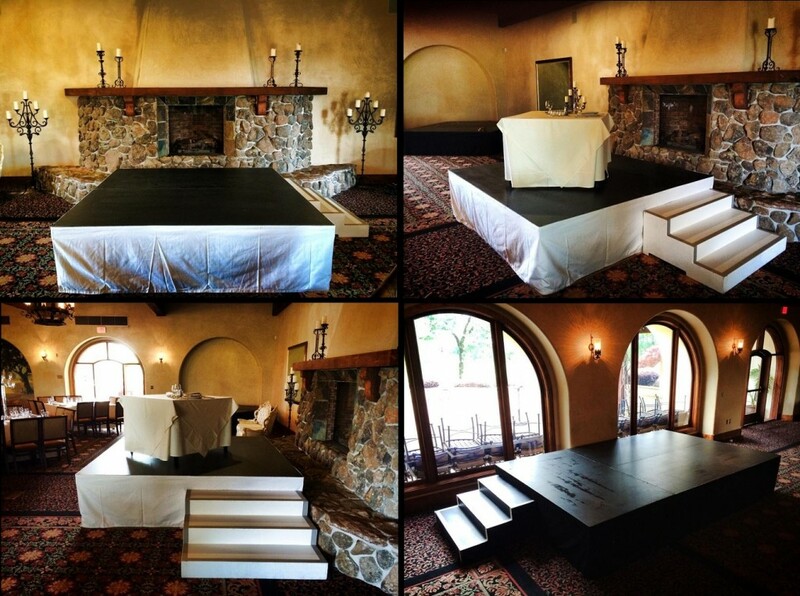 Bottom Row: a 12x8x3 black stage for the ceremony alter and a 4×8 stage platform for the DJ. All 3 below are 12x8x2 stages, 2 are all black and 1 is all white. A 24x16x2 black stage with an 8x8x1 drum riser and a 24x12x2 clear stage with white skirting, stairs and LED lights under the stage. Both are for bands for weddings. 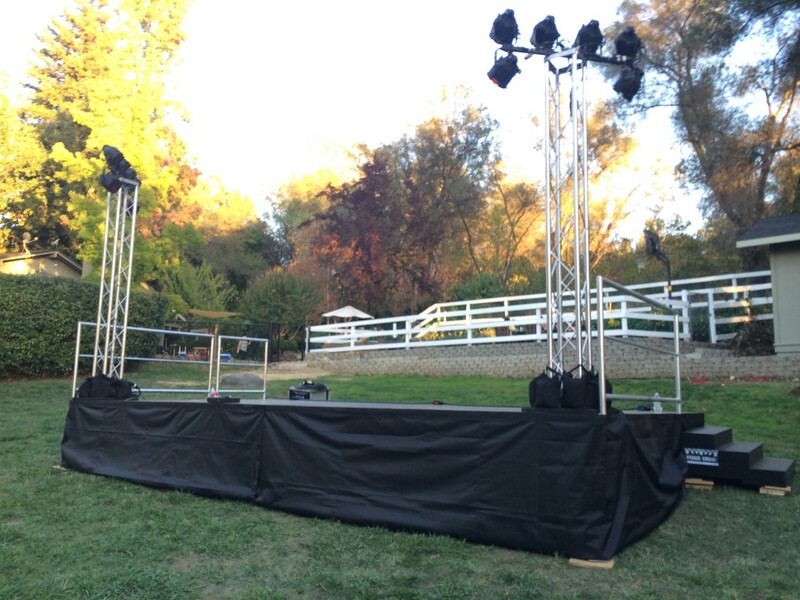 A 16×12 stage for a band set up on a major sloped hill that 2 other company’s informed the client they could not do.